Rob Lynch recently joined the UGPTI as training coordinator for the Small Urban and Rural Transit Center (SURTC). Most recently, Rob held the position of transportation manager for North Dakota State University, where he managed transit, parking, bicycle, and pedestrian functions for a growing campus community of over 16,000. Rob is a member of the Metro Area Transit Coordinating Board for Fargo, ND, and Moorhead, MN, and serves on many local transportation and corridor study groups. Prior to his work at NDSU, he managed two non-profit organizations and worked in the hospitality industry for over 25 years. During this period, he developed and conducted specialized management and team training for two national restaurant chains. Rob was elected to the Fargo City Commission in 2000 and served as chairman of the city's Parking Commission, Transportation Technical Committee and the Fargo/Cass Board of Health. 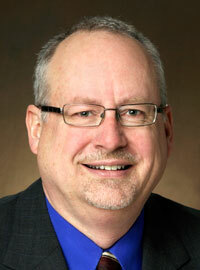 Rob is a graduate of NDSU earning a Bachelor of University Studies in emergency management and industrial engineering. He can be reached at rob.lynch@ndsu.edu.